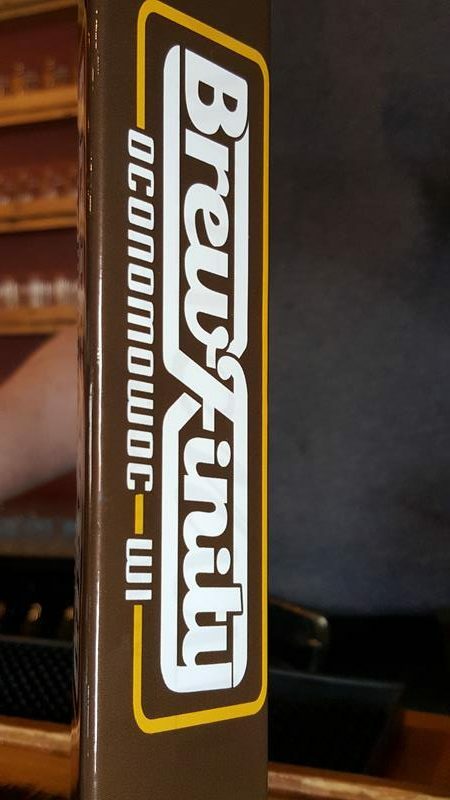 Brewfinity opened as Sweet Mullets Brewing Company in 2012 and re-named itself in 2018. 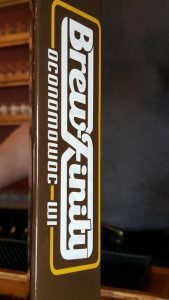 Brewfinity is Oconomowoc’s own craft brewery; it can be found tucked away in a small light industrial park off Highway 16 on the west side of town. The brewery started up in 2012 and came under new ownership in 2016, when the original owners sold to Chad Ostram, who introduced a whole new set of brews and eventually changed the name. A State Trunk Tour favorite is their Jorge, a jalapeno-infused beer that features the zesty spicy flavor of jalapenos without the heat. Their Day Drinker is a good light lager if you’re stopping in along a road trip. 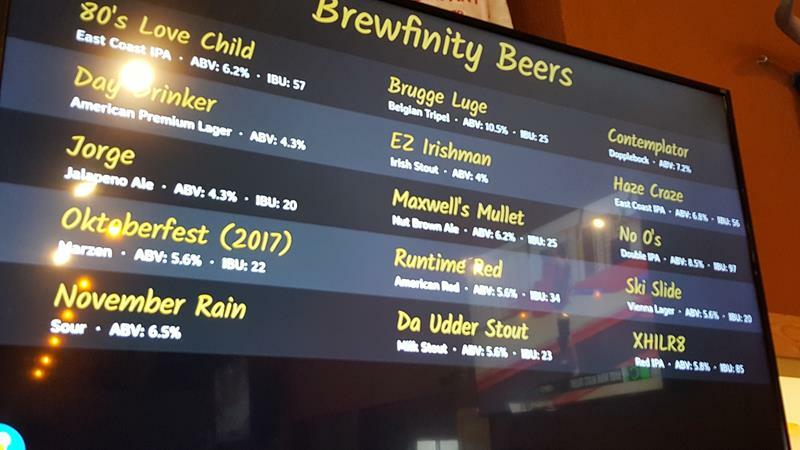 Other brews include Da Udder Stout (a milk stout); Flying Monkey, a German-style Weissbier; their traditional Oktoberfest; Runtime Red and EZ Irishman, two American style red ales; and Maxwell’s Mullet, a nut brown ale brewed with coffee tones. The Tap Room at Brewfinity is a pretty big place, and they host events fairly often. They have a kitchen with pizzas and sandwiches, and for appetizers hot pretzels, nachos, and even edamame (the vitamins in edamame help your liver process alcohol) for you to pair your beers with. With its location tucked inside a light industrial park, nobody will just happen across Brewfinity – but if you follow the signs just off historic Highway 16 as you enter Oconomowoc from the west, you’ll get there. It’s worth the trip! 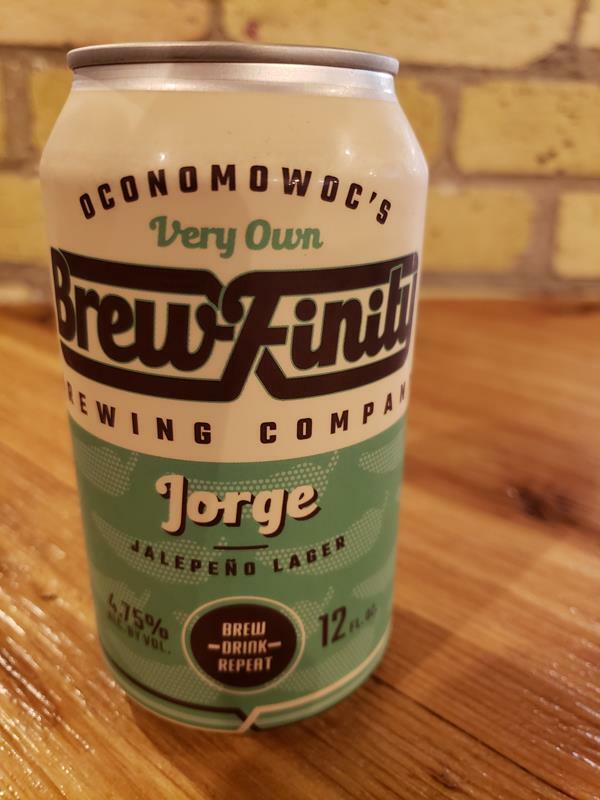 Jorge Jalapeno Lager, a State Trunk Tour favorite from Brewfinity in Oconomowoc. Brewfinity’s beers, like many craft breweries, can change. Here’s a shot of the choices at one point – trying hard not to let the lights reflect in the screen, but you know how hard that can be.